Cacao is a relatively new crop in the previously violence stricken region of Montes de Maria, a mountainous portion of northern Colombia. The crop was introduced commercially to the region in the mid 2000’s as a response to a strand of phytophthora that made their most dominant crop – avocado – decreasingly profitable to produce. Today, over 1,000 smallholder farmers in the region are trying their hand with cacao but report two primary challenges: 1) they lack the technical production knowledge of how to grow a the crop effectively, and 2) they struggle in marketing their crop. The lack of technical production knowledge is evidenced by an average yield of 135 kilos/hectare, easily one tenth of what it is in other regions of Colombia. To aid growers with this issue we used survey data from 277 growers to conduct an analysis that identified the production practices that were most correlated to changes in yields amongst these farmers, and then examined which socioeconomic and demographic factors were driving the adoption of those most important production practices. Key conclusions were presented to the leadership of the six cacao grower associations in Montes de Maria as tools to be used in developing their training curriculums. Kalob Williams is a second year MS student in the Charles H. Dyson School of Applied Economics and Management. He received his undergraduate education in economics from Brigham Young University. After graduation he spent time farming and marketing agricultural products in the central valley of California. 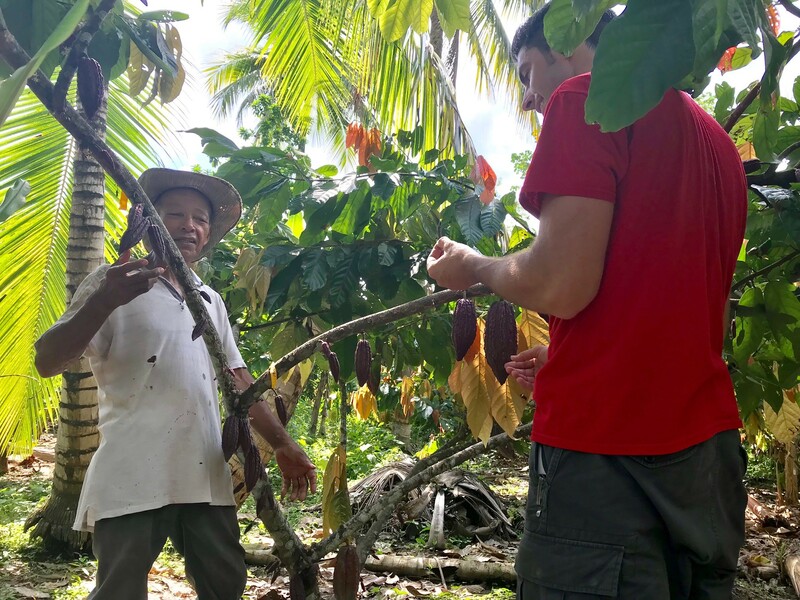 His thesis research at Cornell focuses on cacao production and technology adoption among smallholder farmers in northern Colombia. He is also conducting research with Dr. Gomez and the New York State Berry Grower's Association to understand the economics of berry production and marketing in New York State. Miguel I. Gómez is Associate Professor at the Charles H. Dyson School of Applied Economics and Management, a Fellow of the David R. Atkinson Center for a Sustainable Future at Cornell University and Affiliate Faculty at the School of Management at Universidad de Los Andes, Bogotá. Professor Gómez concentrates his research program on two interrelated areas under the umbrella of food marketing and distribution: One is Food Value Chains Competitiveness and Sustainability. His work in this area involves multi-disciplinary collaborations and his primary contribution is the development models to assess supply chain performance in multiple dimensions - economic, social and environmental. The second is Food Value Chain Negotiation. Here he combines theory and outreach methods, emphasizing key concepts such as price transmission, demand response, buyer-seller negotiations, market power, and retail performance. In addition, his research in this area extends to economic development. Specifically, he examines the incentives and barriers of smallholder farmer participation in food value chains with emphasis in Latin America.